Unusual Bird Predators - What Eats Birds? Birders all know the different things birds eat, but what eats birds? Birds of all sizes and species can become prey, and while cats, dogs, and other mammals such as foxes and raccoons are common bird predators, there are many unusual and unexpected predators that also target birds. Many birds eat other birds, though they do not typically eat their own species. Larger birds may prey on smaller birds, and raptors are commonly avivorous and will even raid other raptors' nests for chicks. Most birds that will eat other birds avoid targeting mature birds, but will eagerly attack vulnerable fledglings, chicks, and eggs as an easy food source. Different corvids, including crows and jays, will eat other birds, as will gulls, skuas, and roadrunners. Many unique and unusual predators pose threats to birds. While some of these predators are more likely to kill and consume birds only rarely or accidentally, they have still been recorded as preying on birds. Snakes: While most snakes are not fast or agile enough to catch birds, even slower, more deliberate snakes such as boas or pythons will prey on eggs and nests. Many small snakes will invade unprotected bird houses and cavity nests to seek out eggs or brooding adults. When unwary birds accidentally come within striking distance, other snakes will also take both young and mature birds. Plants: Most plants are passive, but carnivorous, venomous plants have been occasionally noted as catching unwary birds. 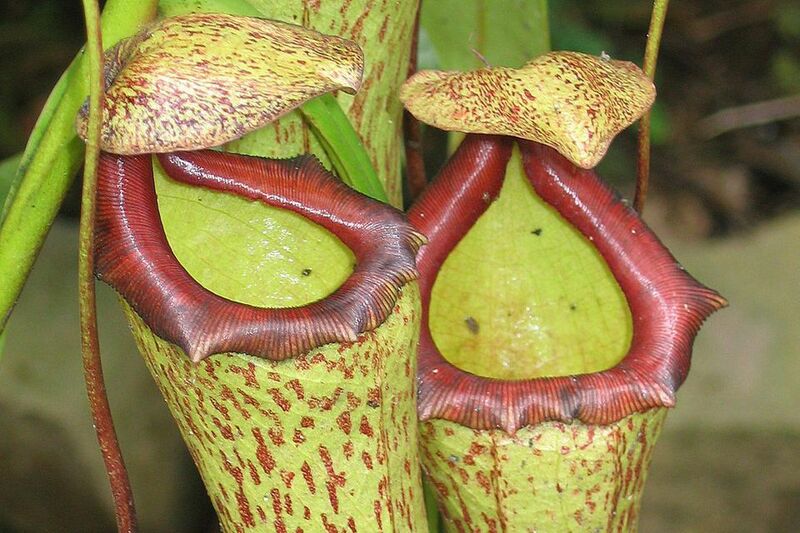 Pitcher plants, for example, can trap birds that sip at their tempting nectar and inadvertently fall into their deep wells. Since the bird cannot escape, it will eventually be digested by the plant. Sea Anemones: Tide pool anemones may trap seabird, wading bird, or gull chicks, or injured adult birds can get stuck nearby and fall prey to anemones. While these sea animals are very slow, if a bird is unable to escape, it can become prey and be consumed by the anemone. In some cases, the bird may drown with an incoming tide before the anemone strikes, but the anemone will just as happily consume the dead bird. Fish: Predatory fish such as sharks may catch pelagic birds at the surface of the water. Other fish, such as the African tigerfish, have learned to jump out of the water and catch swifts, swallows, and other birds that fly low above the surface. Some fish have also learned to partially beach themselves to catch birds at the water's edge, particularly at popular drinking holes where birds' visits may be predictable. Seals: Seals are aggressive marine predators that may also prey on seabirds, including penguins. This is especially true near nesting colonies where young birds are less experienced and make easier targets. In addition to hunting in the water, seals may seek out prey on land through stealth or waiting for unwary birds to approach too closely. Insects: While many birds are insectivorous, small birds can also become prey for insects themselves. Praying mantises are known hummingbird predators and may stalk the birds by waiting on feeders. Other large insects, such as the Goliath bird-eating tarantula, can be more aggressive about choosing avian prey and will strike at any accessible bird. Groups of stinging insects, such as wasps and hornets, may also target birds that come too close to their hives or nests. Frogs: Large-mouthed frog species will eat anything they can successfully catch and swallow, including birds. The Khorat big-mouthed frog, in particular, has been noted as eating birds, and studies have found feathers in its digestive tract as proof of its dietary preferences. Dinosaurs: While dinosaurs are not a modern bird predator, there is evidence that some dinosaur species likely preyed on prehistoric birds and other ancestors of today's modern bird species. Smaller, more agile dinosaurs may have caught birds in flight. Scavenging dinosaurs were likely nest predators and may have taken both eggs and young birds, or could even have attacked brooding adults. While all of these predators have been noted as killing birds, many other predators also occasionally prey on birds, particularly wounded or sick birds that are easier to catch. Because hunting is often unsuccessful, no predator can pass up an easy meal, even if birds may not be a type of prey they are accustomed to choosing. While these threats are serious, the more aware birders are of the unusual predators birds face, including how we can be inadvertent bird predators, the easier it will be to help protect birds and promote more effective bird conservation. What Does Carnivorous Mean to a Bird's Diet? Carrion for Birds - Where Does It Come From? How Do Birds Get Food? Bird Cull - What Is Culling and Why Is It Done? Balloons Hurt Birds - Stop the Litter!